Dogs usually communicate their discomfort through different behavioral changes. Chewing on their feet is one of these behavioral changes that are used to show discomfort. However, chewing or licking paws is one of the behaviors that get unnoticeable. But if you find your dog excessively chewing or licks his feet you must take this as a serious condition because it can be sign of some underlying emotional or medical issue. 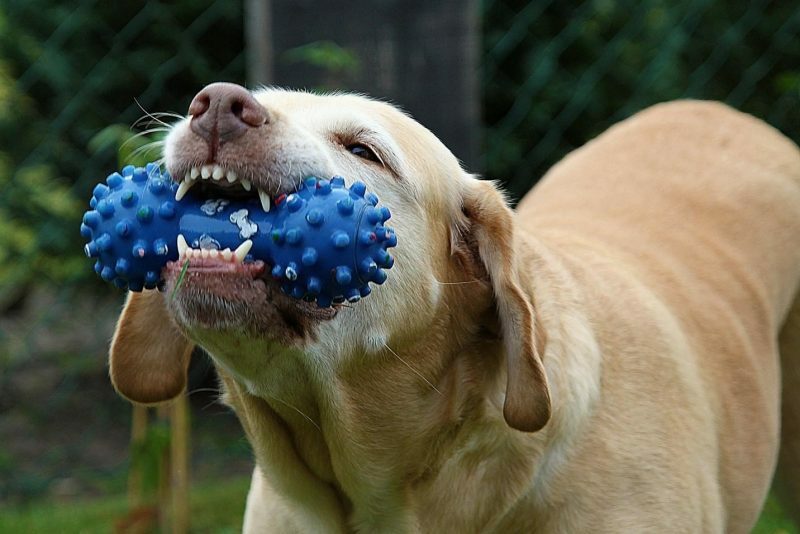 Following are few conditions that may cause your canine to chew his feet. Dogs have a friendly nature and they love to be accompanied and when left alone they suffer from anxiety, stress and boredom. Dogs love their parents unconditionally and when they are not present they feel discomfort and sometimes feel the fear of being separated from their loved ones. As they cannot communicate their emotional needs directly. Therefore, they often adopt different behaviors to show them. Sometimes these behaviors are destructive such as trying to escape or chew things around them. If they do not find anything to chew, few of them chew on their feet to decrease the fear and feeling of discomfort. If you notice that your dog is limping or he is no more physically active as he used to be and keeps on chewing his paws. You must take him to veterinarian because there are chances that your Fido is suffering from arthritis. It is a medical condition caused due to chronic inflammation and excretion of toxins that poses damage to joints and as a result dogs tend to chew their paws to relieve the pain and discomfort. Dogs require extra care and efforts to stay healthy and happy. Your canine’s nose and paws are extremely sensitive. If you do not take proper care of his paws he may end up licking or chewing his paws. Equally summer and winter both seasons bring in different reasons of paw chewing with them. In summers walking on hot paved roads can burn your furball’s paws. In addition to this, his pads can worn out or cut while walking on stones and he might lick his paws to reduce pain. Consequently, pup parents should invest in heat protective booties to save their pup’s paws. In the months of winters, dogs can experience dry skin due to arid air, just as humans do but dogs are not able to moisturize their skin therefore they lick their paws and use their saliva to moisturize their paws and to relief the itchiness and uneasiness caused due to dry skin. In addition to this, your dog’s dry skin indicates that they are not getting enough fatty acids in their diet. Therefore, if your find that your Fido’s skin is getting dry try to add fatty acids in his diet because it helps to build healthy skin cells. If the case becomes much severe so them by adding some fish oil, coconut oil and any other oil that contains saturated fats in their diet. You can also apply specific balm after veterinarian’s prescription to reduce dryness. Fleas and ticks are tiny bloodsucking crawlies that make your beloved Fido their home. 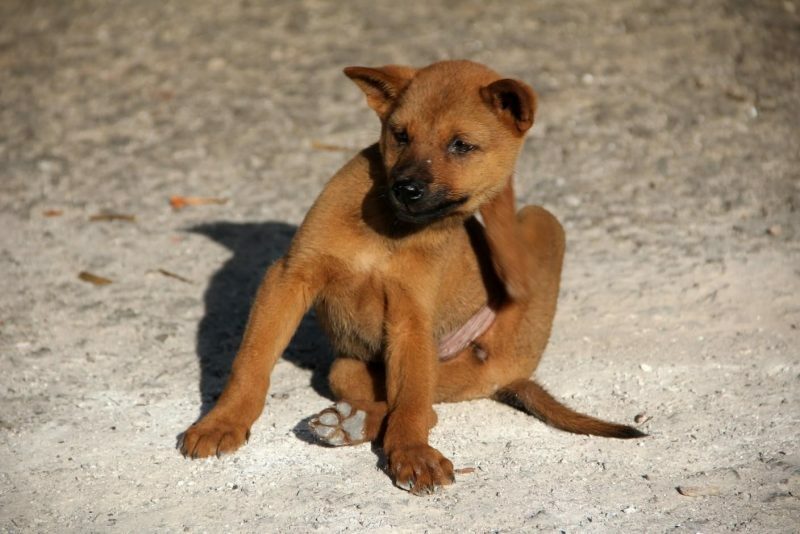 Due to excessive itching dog tends to scratch their skin and chew their paws. To avoid these crawlies pup parent should invest in a good flea shampoo. Teething is another reason of paw chewing. 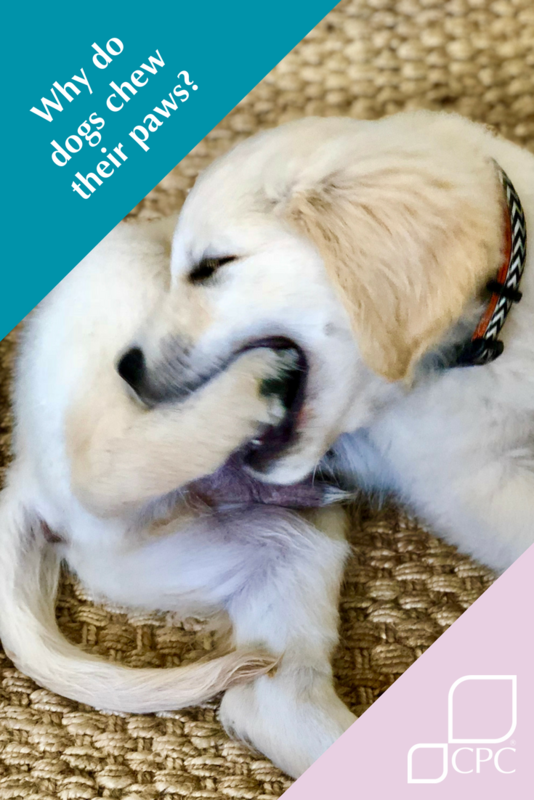 When puppies are teething they feel sensations and pain in their gums. To minimize sensations puppies chew on their paws. To stop them from chewing their paws you can bring them chew toys that are specially designed for teething puppies. 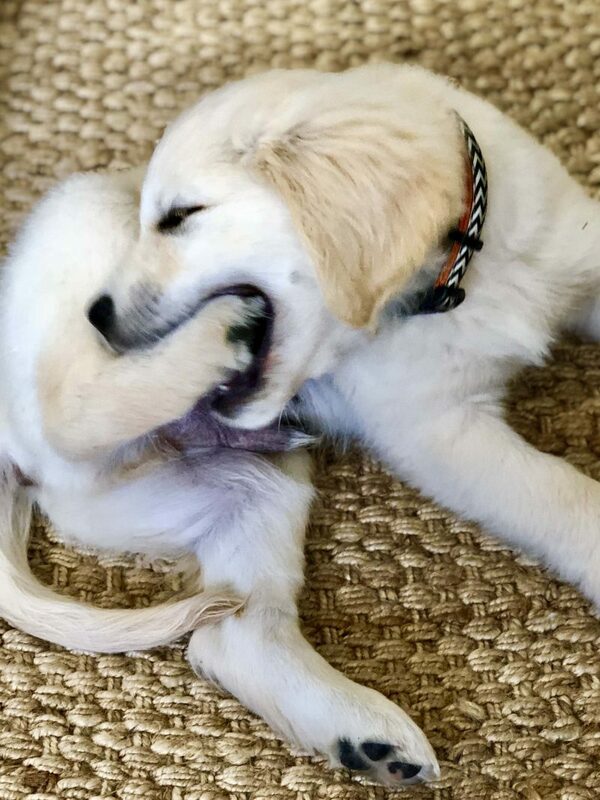 Take a closer look why your puppy is chewing his feet. If he is dull and lazy, you should visit a vet and if you think he chews his paws due to boredom, try to keep him engaged in different activities. Wendy is a self-employed beauty therapist, mother of two; life-long pet parent and lover of dogs that somehow manages to squeeze in the time to satisfy another of her loves – writing. Wendy is the founder, the main contributor and editor of TotallyGoldens.com.